In Flaherty’s statement, he said he told Prime Minister Stephen Harper of his intentions to resign from caucus on Monday. “This was a decision I made with my family earlier this year, as I will be returning to the private sector,” Flaherty said in his statement, not specifying which company he was leaving to, and ruling out health issues as a reason. 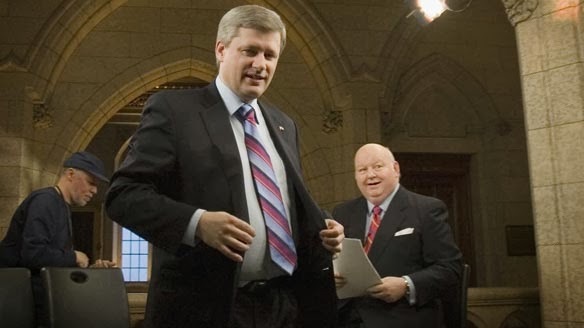 “In a political career of almost 20 years, Minister Flaherty has exemplified the best qualities of those who enter public life: a true commitment to service, and a sincere desire to leave the country in better shape than it was when he entered politics,” Harper said. 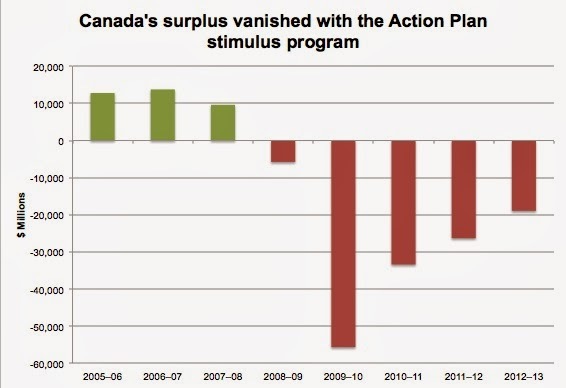 While Flaherty may not have been there to announce the first surplus since the recession, he leaves telling Canadians they are in good shape. Flaherty leaves behind an economy that remains sluggish at best. Economists remain skeptical about the country’s growth numbers and a multitude argue Canada’s job numbers aren’t up to par with where they should be. Before the recession struck, Flaherty inherited a $13 billion surplus in 2006 from the previous Liberal government and squandered it to a deficit which in its peak reached $56 billion, the highest of any finance minister in the country’s history. The road to balanced budgets has come at the cost of public services while bureaucracy remains bloated and well-paid – a failed attempt at researching and repeating the methods Former Liberal Finance Minister and short-term Prime Minister Paul Martin used to slay the $37 billion deficit inherited in 1993 from Brian Mulroney’s Progressive Conservatives. Flaherty is expected to be replaced by Natural Resources Minister Joe Oliver whose aggressive campaign promoting Alberta’s oil sands has put him at odds with world renowned and world respected NASA climatologist James Hansen who responded to Oliver’s attacks calling the Canadian Conservatives “neanderthal(s).” His partisan rhetoric often outweighs his ability to defend and articulate key policy measures the Conservative government is trying to implement. 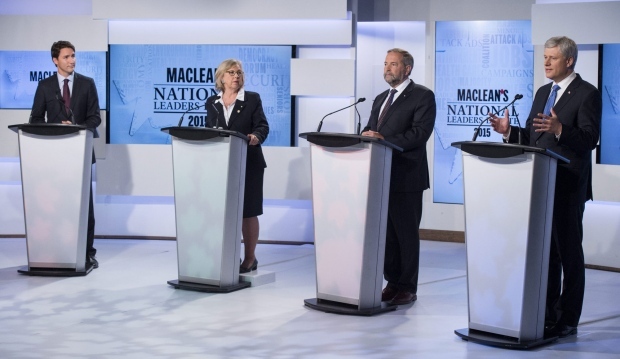 At 73, Oliver isn’t expected to topple Harper who already is hanging by a thread within the Conservative membership. 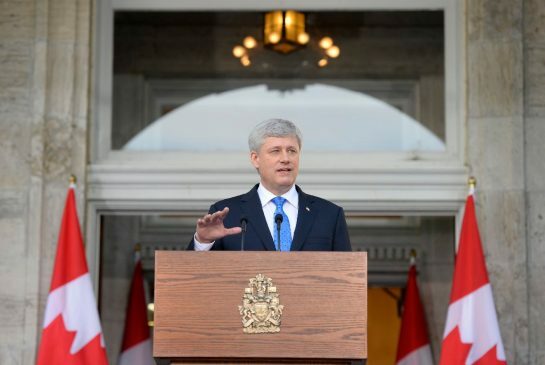 Oliver will be Harper’s second finance minister since the Conservatives took power in 2006. 1. Deficit’s became the new norm. 2. 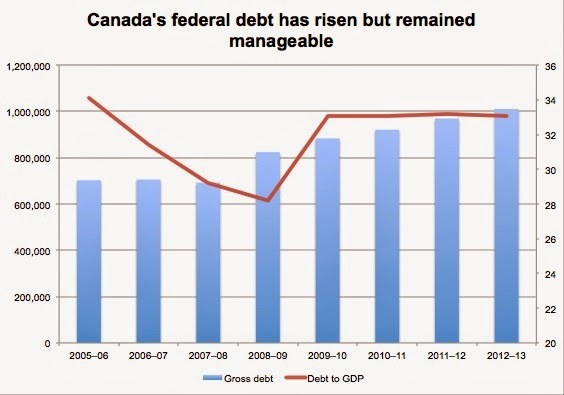 Canada’s debt is the highest it’s been in history, but it isn’t out of control. 3. 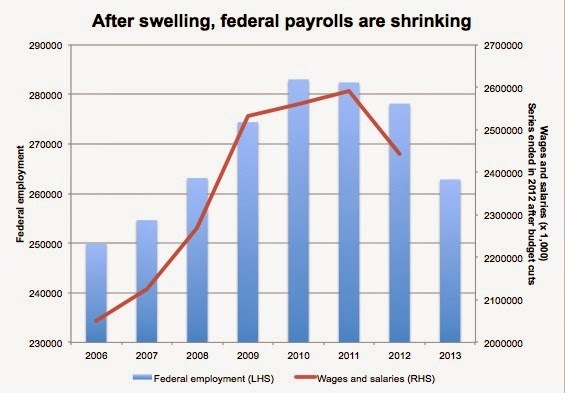 Prior to the recession and resulting austerity, the Conservatives were adding bureaucrats and increasing their salaries. Even after some of the cuts, Canada’s bureaucracy remains bloated as services are starved. 4. 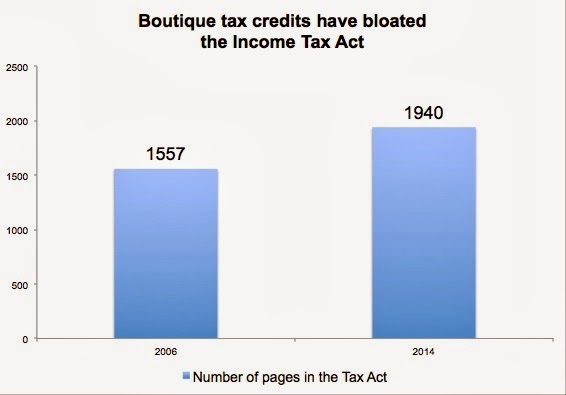 Tax credits have bloated the tax code. What do you think of Jim Flaherty’s tenure as finance minister? What do you think about his replacement?